We will be partnering with Greenfield School at their campus which again in 2018 for the Swamp Stomp, as they have great facilities and the course got rave reviews last year. We will be stomping on April 28th to both offer cooler temperatures and swampier conditions during the Spring. We are excited to return and build on the great success from 2017. Help us stomp out hunger and homelessness while having a blast stomping under, over, and through various obstacles and some swamp areas. 100% of the net proceeds go to Hope Station, Wilson’s food pantry and homeless shelter. 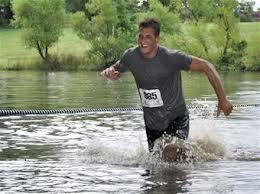 This is the 6th Swamp Stomp in Wilson; An obstacle running event that you can do as an individual or as a team. See the course page for a map and general description of the obstacles. There is one course, a 5K. Like us on Facebook to get updates on all the latest about the Swamp Stomp.